British Columbia’s visitor economy contributes to our high quality of life by supporting arts, cultural, sports and historical assets, festivals and events, cuisine and wine experiences, parks and recreation venues, among others. Many studies have also shown that tourism brings big international benefits through trade and investment, education and immigration. However, tourism’s voice is often unheard by decision-makers when setting policy, developing framework for investment, or introducing major economic initiatives. Similarly, today’s graduating students do not consider tourism as a primary career choice yet the opportunities and benefits are virtually unmatched. TIABC and its industry partners are working diligently to strengthen our collective voice to fully capture the opportunities ahead and address the obstacles hampering industry growth. Our goal is to foster a climate that encourages investment in tourism infrastructure, products and marketing. We also need to motivate more people to pursue tourism as a career. Ian Robertson, CEO of the Greater Victoria Harbour Authority explains why BC Tourism Matters to him. 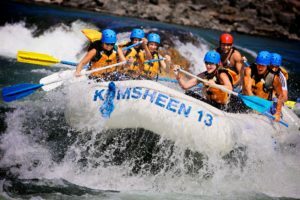 From the Fandrich Family, Kumsheen Rafting Resorty, Lytton, B.C. My father, Bernie Fandrich, started Kumsheen Rafting resort from the side of the road in 1973 with nothing more than a van and a rubber raft he bought in Vancouver. Rafting on the amazing blue waters of the beautiful and rugged Thompson River has been part of my family ever since, and the industry brought my mom and dad together, which led to me, my dad, my mother, my brother and my sister all working with the wonderful people who come to BC from all over the world. Dad first put my in a raft when I was 4 years old, and now we can say that both my brother and sister and I all have little children, and we expect they’ll eventually be making a living off of adventure tourism as well. The things we’re most proud of? Working in British Columbia’s beautiful outdoors, and providing a thrilling, yet safe, whitewater adventure for more than a quarter-million people since dad started the business 46 seasons ago. Best advice for those who want to enter the tourism industry? Be great with people, and be true to yourself. — Braden Fandrich, for Bernie, Lorna, Andrew & Megan, and our children and children to follow. A group of Cache Creek women began feeding the Cache Creek Fire Department when the Elephant Hill fire broke out. Soon, though, the group of five women – dubbed the Wonder Women – were feeding ambulance and RCMP personnel, BC Wildfire staff and visiting fire departments, which were arriving in droves. Initially, Cache Creek Husky and the local Tim Horton’s donated the food out of their restaurants, allowing the women to concentrate on feeding hungry crews. The Ashcroft Legion also helped fill the void until the Village of Cache Creek’s Chief Administrative Officer, Keir Gervais, found funding and brought in groceries from Kamloops. Sue Peters is one of the five Wonder Women. “I wasn’t alone in it,” says Peters. She credits the other four women for keeping the kitchen running after the first few days – Christine Elliot, Shelby Doerksen, Donna Brezina and the master of the kitchen, Geninne Fitzgerald. Peters, who is also owner of Cache Creek Husky, found she was needed to fuel up firefighting equipment, and was taking emergency calls 24 hours a day to get the vehicles filled and back to work. “Good news has continued this week with more businesses and communities returning home in the Williams Lake area and Highway 97 opening to traffic,” said, Cariboo Chilcotin Coast Tourism Association CEO, Amy Thacker. “I echo Sue and encourage visitors to come support our communities by visiting in person – they want to welcome you!” Cariboo Chilcotin Coast Tourism operators remind all travellers that conditions continue to be hot and dry, requesting visitors remain diligent through the remainder of the summer season. Some members of our BC Tourism Industry explain why #BCTourismMatters to them. Visitors bring a lot more than luggage. Have a look at the Value of Tourism video produced by Tourism Vancouver Island their community partners to see why working together to attract the world is fabulous for the Vancouver Island economy and lifestyle. Kootenay Rockies Tourism shows us why the tourism industry attracts people from around the world to live, work and play in their region. Tourism in Richmond is a $650M dollar industry attracting 4 million+ person nights. It demonstrates the far reaching impacts of visitor dollars through the tale of a local blueberry farmer. It also showcases the importance of the destination marketing organization in this competitive marketplace. Kathy Cooper of Kootenay Rockies Tourism knows that #BCTourismMatters to the bc economy. Why do we love working in this industry? go2HR asked tourism and hospitality employees from all over BC and compiled their answers together into 150 reasons to celebrate Canada 150. Outdoor recreation edition. www.go2hr.ca/150reasons. Send us a 100-200 word written page summary…or even better…a short, unedited video describing your career journey, what BC’s tourism industry has given you and what advice you would give to people considering a career in our industry. For written submissions, we would be pleased to receive an image of you, your team and/or your business to accompany the summary. The questions and suggestions below are designed as a guideline to tell us your Power of Tourism Story. Only questions #1, #3 and #10 are mandatory. Tell us your name, title and place of work. How long have you been in the tourism industry and where did you first work? What got you started and why did you pick tourism as a career choice? What has a career in tourism given you? Describe at least one career highlight or experience you’ll never forget. How have you invested in BC’s tourism industry and how has it paid off? What and where are the best tourism career opportunities in British Columbia? 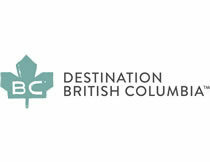 What excites you about BC’s tourism future? Who has inspired you in our industry and why? What advice would you give to an individual considering a career in tourism in BC? All stories collected will be shared either on our website or in presentations, as well as referenced in articles and briefs. Importantly, stories will be available to members, media and stakeholders throughout the province to help us collectively achieve the ultimate goal “for tourism to be recognized as one of British Columbia’s leading and sustainable industries”. Videos or images to accompany written submissions can be sent to TIABC via email (info@tiabc.ca). If the file size is too large, you can use a file sharing service such as Dropbox or WeTransfer. Note: Please ensure adequate sound quality for all videos, particularly those filmed on smart phone devices. Thank you for your support with this important project.